Voters all around the country are educating themselves on tax policy for the upcoming elections, notably this week around ballot initiatives in Arizona and Colorado and competing gubernatorial tax proposals in Georgia and Illinois. But not all eyes are on the elections, as the relationship between state and local policy made news in Delaware, Idaho, North Dakota, and Ohio. The WASHINGTON State Superintendent has proposed a capital gains tax on gains greater than $25,000 to fund special education initiatives and reduce the statewide property tax. For an analysis on the political realities of enacting a capital gains tax, read here. Tax incentives in LOUISIANA—including the ever-popular among politicians Film Tax Credit—cost state taxpayers $1 billion in the past fiscal year despite evidence of unclear or little returns. MASSACHUSETTS Gov. Charlie Baker has announced that he will oppose a vehicle miles traveled tax in his second term. If not considered as part of a long-term transportation and infrastructure funding plan, this short-sighted decision could have far-reaching implications for the state’s future transportation funding needs. NEVADA cannabis sales and tax revenues are already off to a hot start in the new fiscal year with their highest month yet in July. VIRGINIA’s forward-thinking fund to help residents and businesses adjust to rises in sea level was created in 2016 but has no revenue devoted to it and remains empty today. State tax collections in IDAHO started to normalize in September after several months of coming in low due to inadequate withholdings by taxpayers post-federal tax changes. City leaders across IDAHO want the authority to raise their local sales taxes but having gone nowhere with the state legislature, are now considering a ballot initiative. State tax cuts continue to impact OHIO localities. A number of school districts in the Buckeye State are seeking local tax levies in search of additional revenue. A lawsuit in DELAWARE over school funding and property assessment inequities is moving forward. Some properties have not been reassessed in more than 30 years, holding down the tax base for schools. NORTH DAKOTA Native American tribes and state government are discussing an agreement that would allow tribes to collect state sales taxes and direct the revenue to tribal services, but the tribes are arguing for an exemption for casinos, which are viewed as quasi-public institutions that already exist to generate revenue for those services. Need more information on COLORADO’s Amendment 73 on increasing education funding through higher income tax rates on the top? Here’s a pro piece and one looking into the complexities and shortcomings of the school finance system that are not addressed by the amendment. In ARIZONA, Proposition 126 would alter the state Constitution to ban currently untaxed professional services from the state’s sales tax base. The ban would include services such as real estate, accounting and health care and limit the ability to raise potential revenue in a state that is already strapped for cash. Tax policy continues to be a central theme in the gubernatorial race in ILLINOIS. The Atlanta Journal-Constitution’s podcast series has an episode comparing the tax and budget stances of GEORGIA’s candidates for governor. A new report by the Center on Budget and Policy Priorities, Unkept Promises: State Cuts to Higher Education are Shortchanging Future Generations, points to the negative impact of state tax cuts on higher education. Fact sheets for each state are available here. 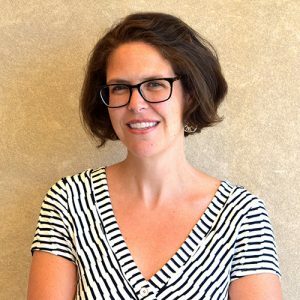 In the New York Times, New York University law professor Lily Batchelder speaks to the need for Congress to reform inheritance and estate tax laws that create loopholes for the wealthiest Americans. Governing notes that at least ten states, including New York and Minnesota, have recently attempted to tax the pharmaceutical industry to raise revenue to fight the opioid crisis. In a new report released this week, ITEP and Prosperity Now look at the implications of the Tax Cuts and Jobs Act on rising economic inequality, including how the tax cuts reward wealth over work and largely overlook communities of color. Even among the already wealthy, the 2017 tax cuts overwhelmingly reward white households over other groups, further intensifying the racial wealth divide. 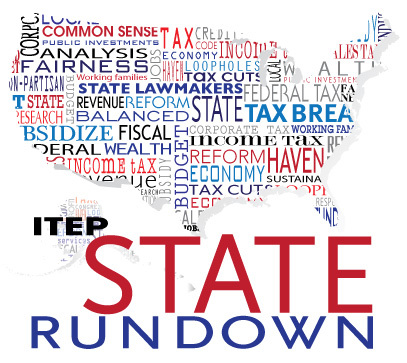 ITEP also submitted comments on proposed IRS regulations to rein in both recently devised workarounds to the new $10,000 cap on the deduction for state and local taxes (SALT), but also an under-the-radar tax shelter abused by wealthy donors of private school voucher programs.